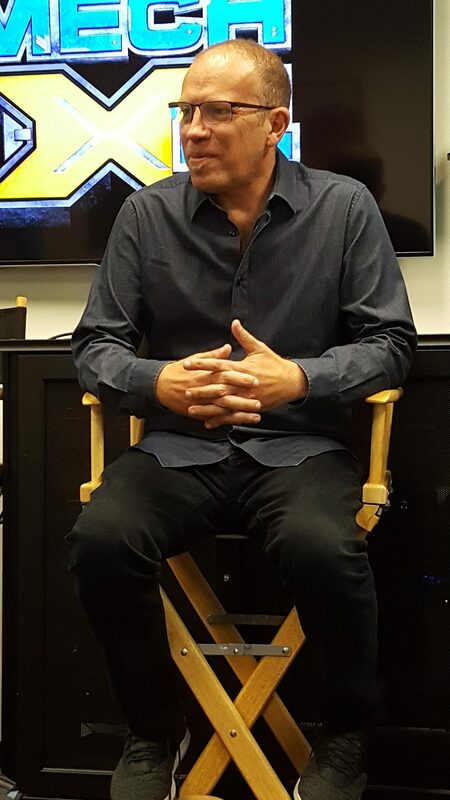 I was invited on an all-expenses paid trip with Disney for the opportunity of meeting/interviewing the cast and attending screening events. All opinions are my own. 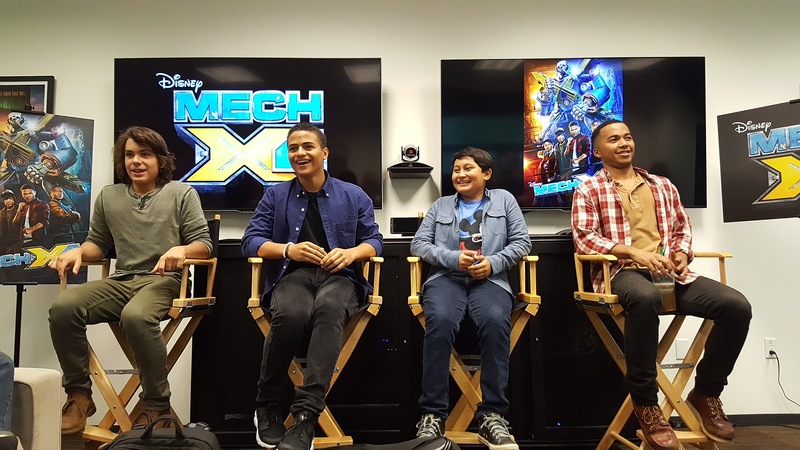 I am SO excited to introduce to you Disney’s new MECH-X4 TV series! 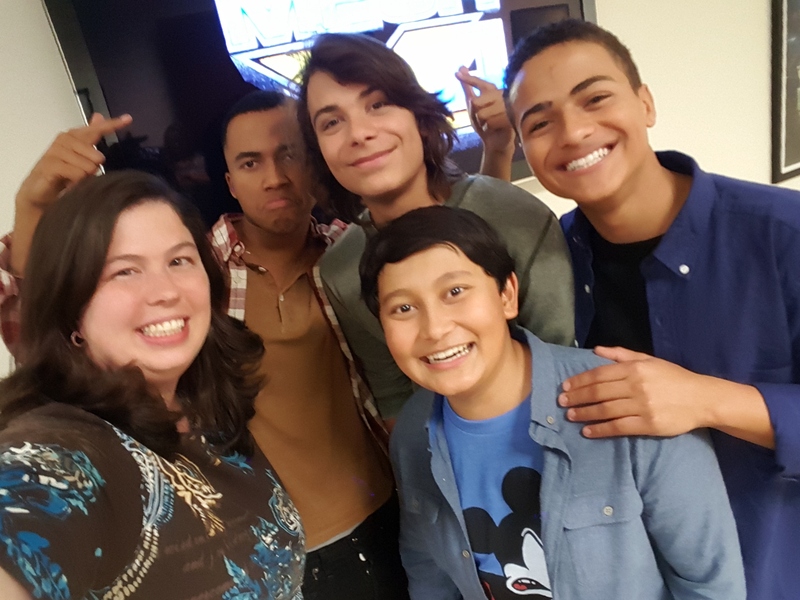 The series debut will be presented in an expanded premiere weekend with four back-to-back episodes on Disney Channel, the Disney Channel App and Disney Channel VOD, Friday, November 11 at 8:30pm ET through Sunday, November 13. I had the opportunity to watch the first couple episodes and I’m TOTALLY hooked! I KNOW my boys will love this TV series – I can hardly wait for it to air! 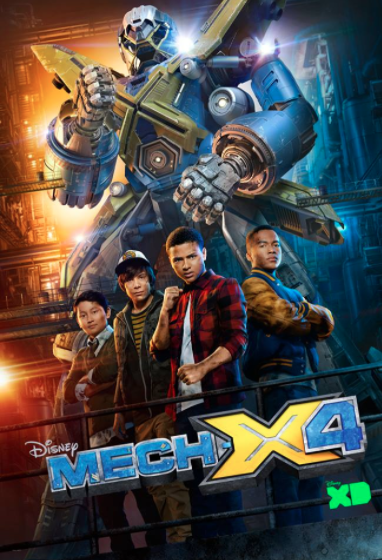 I don’t want to give out any spoilers but think a cross between the Goonies, ET, & Transformers – it’s pretty epic and perfect for my kids! The chemistry between the cast is really tight. The executive directors are like big kids and the cast was deeply inspiring to me. They were a dream to chat with and seem like they could be everyone’s best friend. 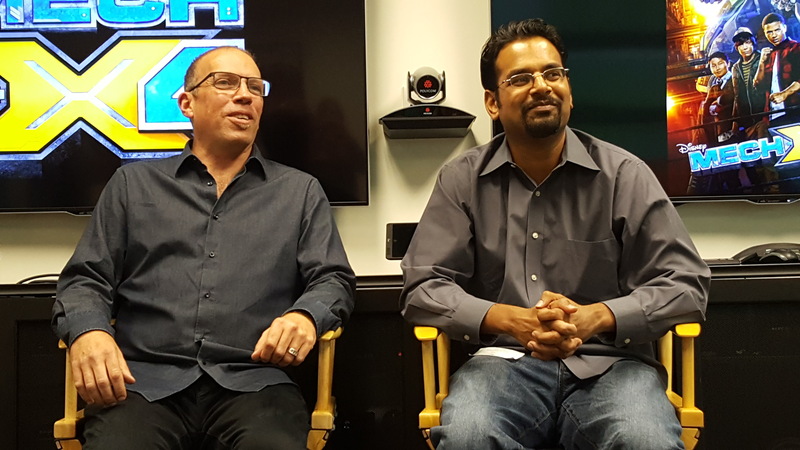 Below are some Q&A Interviews I had with the executive directors Steve Marmel and Anupam Nigam as well as the cast – Nathaniel Potvin, Kamran Lucas, Pearce Joza, and Raymond Cham. Q: What were your influences growing up? Steve Marmel: There’s a little ET. There’s a little Goonies. We love giant robots. We’re both comic guys, and I’m a huge comic book guy. So that serialized storytelling of epic stories, that’s the stuff I love the most. But it’s the kids in the robot that I love. Anupam Nigam: And I love on Transformers. I grew up on Omega Supreme. And for me it was also Godzilla. It was a big influence. In fact there are several Godzilla movies where he fights a giant robot. I made him watch them. And it’s a good thing that we’re both comic book fans because it gives us a shorthand. I can just say, oh, you mean like Fin Fang Foom, and you know I’d say also when, when we’re talking about episodes, we tend to reference Luke Skywalker and Ultimate Spider-Man when he was a teenage superhero. Steve Marmel: It started with, hey, wouldn’t it be fun to do a show about four kids that just happen to have to work together with a giant monster fighting robot. And then every step of the way through development, it sort of evolved. Like, wouldn’t it be fun to actually have great special effects? Wouldn’t it be great to do it single camera and make it look like a movie? And then wouldn’t it be great in this, in this day and age where storytelling is binge and serialized, wouldn’t it be cool if we could do a long story over a season? And so it started with an idea, Disney went for it, and then all of a sudden, this great team started coming together and bringing everything to it. Anupam Nigam comes from a world of serialized storytelling and the director, Zach, has a passion for the nostalgic Goonies, ET vibe. That’s sort of an Amblin feel of it all. And it all just became this thing through collaboration and really talented people. Q: Do you have a favorite comic? Anupam Nigam: What’s on sale right now? I’m gonna say Miles Morales Spider-Man. Steve Marmel: I am currently enjoying Squirrel Girl a whole lot. I like any comic book that actually cuts the action adventure alive with jokes. So if I’m looking for something like that, I’ll dig into the stuff like Ant Man. That’s a really funny book. 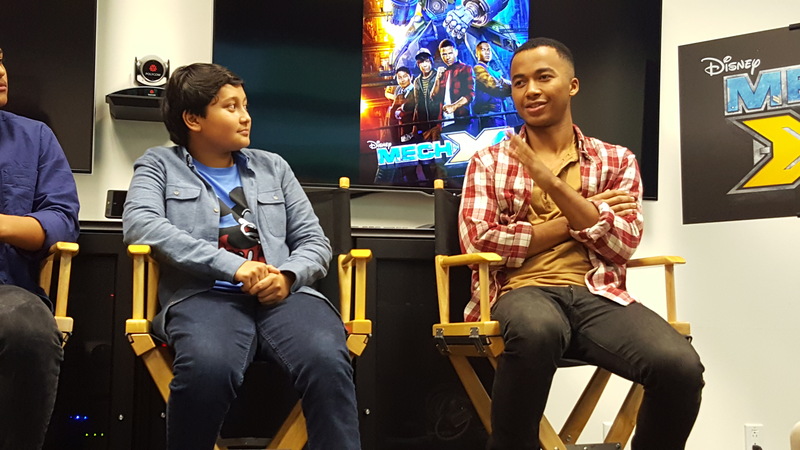 What do the executive directors want you to learn from watching MECH X-4? FUN FACT! Executive Producer Steve Marmel has twenty-seven thousand comic books in his collection. Q: In ways are you guys like your characters? Pearce Joza: I like to say I’m like my character and not like my character. Spyder’s very crazy and he likes to do a lot of daredevil stuff type things. And I lived in Colorado for a long time so I like to go out back and, play in the pond and climb trees. I also love school. I’m taking college level courses and Sypder’s not very good at school. Nathaniel Potvin: I’m kind of like my character because Ryan is always rising to the occasion. So whenever he has to fight a monster or even stand up to his brother, I’m kinda like that in some ways. Also, I have two older brothers so I know exactly what Ryan goes through on a daily basis. And Ryan loves to skateboard. I love to skateboard. So there’s some similarities between us there. Karman Lucas: Harris and I are pretty similar in like book smart terms. But not so much. More of like we both dress really nice and we’re both ladies men. Raymond Cham: I’m kinda like my character in a way. When it comes to family I’m very protective. I care for my family and I’ll do anything to protect them and make sure that they’re okay. I’ve also dabbled in sports a bit. When I was around eight or nine, I used to play basketball. But, other than that I’m not too similar. Q: If you had any super power in life what would it be? 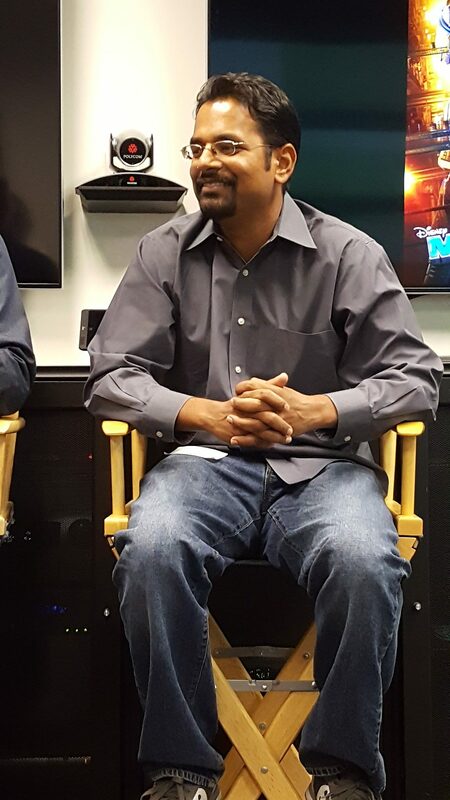 Karman Lucas: I kinda want to have the ability to stop and turn back time. Nathaniel Potvin: If I had a super power it would probably be teleportation because who wants to pay for airline tickets? No one. No one does. Also, it would just be really convenient. If I got locked out of my house I could just teleport inside my house. Nathaniel Potvin: Personally for me, I got into acting because my dad and my mom were kind of in the industry. I loved watching movies. I think there’s a lot of stuff I can learn from movies. Initially when I started watching movies I thought “wow, I want to be like them. I want to change people’s emotions just by pretending to be someone else. Or becoming someone else. So I thought, just the art of becoming an actor is really interesting to me. So that’s what motivated me to become an actor. Pearce Joza: When I was four my mom took me to see this stage play, Frog and Toad. I was sitting out in the audience going “why am I out here and not up there?” So for a very long I was on stage, and then I started watching Jim Carrey. He’s my comedic mentor, he’s great. I’ve done a bunch of his stand up. I thought he was hilarious. And it was like hey, I should do that. That would be awesome. That’s how I got started. Raymond Cham: I started when I was eight. I loved performing. That was my thing I loved…’cause I’m also a dancer. And just being on stage and performing for other people is really fun for me. But when I first started, it wasn’t really because I really wanted to become an actor. It was really just like filling a void of performing, you know. Then eventually I started watching more and more movies and every time I would watch a movie – especially with teens – I remember when I would see Harry Potter with my mom, we’d go to midnight showings. I would always have this feeling… I still don’t even know how to explain it really. It was a mixture of jealousy and want. Like I was hungry for it. For some reason I just would leave the theater like, “that was amazing and I want to do that”. I would be- not upset, but I would just think – why am I not doing that? It’s kind of weird because all those people worked their butts off to get there. But I was just really intrigued and really wanted to do it. So around ten or eleven, I thought… this is what I want to do. I started taking acting classes and then just watching movies ‘cause I think that’s the best thing you can do as well. Just because there are so many great movies and great stories being told. And just seeing how people play certain things. It’s like how would I do something different? Or just like wow, everything he did was just flawless. I think it’s great. And then working on set is the greatest school. That’s what got me into it. Karman Lucas: So I was always a great liar. I would break a plate and I’d be like, “ah man, the maid did it, I guess”. We didn’t even have a maid! I look back and I think, wow, that was really mean. I could probably incorporate this into something I could do and we all have our heroes. Mine being Selena Gomez on Wizards of Waverly Place on Disney Channel. And I thought, I kinda wanna do that. A friend of mine had taken me to an acting class. I went and it was just really interesting. It was kinda like, forgetting everything that you’re doing at the moment, not being you. Blank slate. You’re being totally someone else and you’re pretending and acting like anything else. And it was just really interesting to see that, and I was thought, I wanna do this. And so it eventually became a profession and now I’m here, and I’m really grateful that I get to do that. Q: What is your favorite thing to do off set? Pearce Joza: Snowboard. I was on the Junior Olympic team in Colorado. Nathaniel Potvin: My favorite thing to do off set is go rock climbing. Kamran Lucas: I like to sleep. So late. I like to be inmy bed and just not do anything. Yeah, sleep is great. Everyone should have a lot of sleep. I got a solid twelve hours one day. Sleep is awesome. Raymond Cham: I want to say something crazy like skydiving or something like that, but really I just sit home and watch movies. That’s all I really do. I mean sometimes we’ll go go-carting, which I really love doing. I love watching movies just to study. 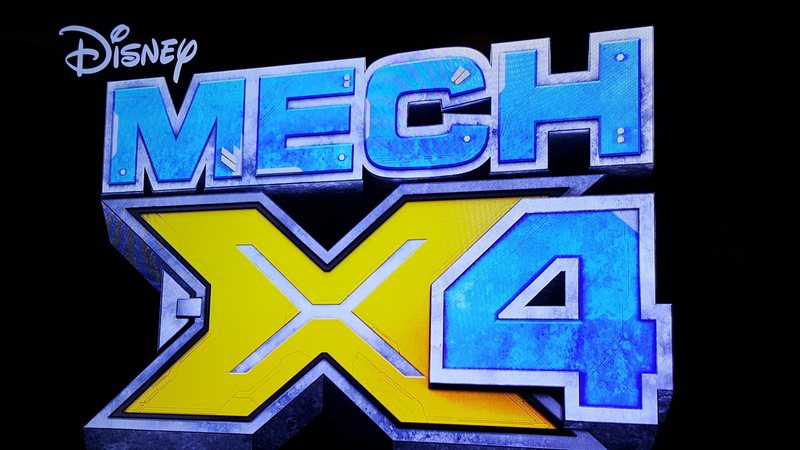 DON’T FORGET – MECH X4 Premieres Saturday, November 12 at 8/7c on Disney XD!